A while back I made myself a pair of these because my ears aren’t pierced. I figured these aren’t that common to see, so I decided to make a pair to sell on my online store. 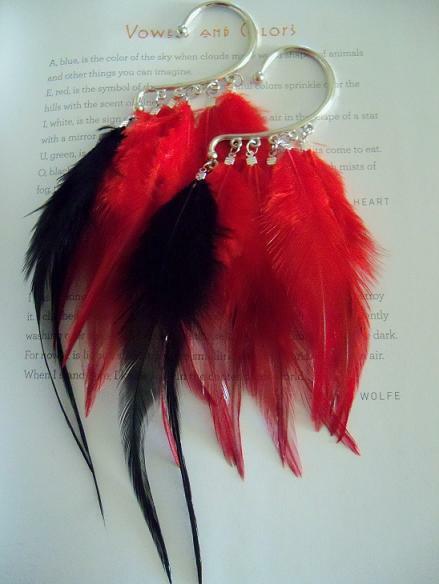 The ear wraps are silver and I used red and black feathers. These are great for people with non-pierced ears, but I’m sure people with pierced ears would probably love these as well.